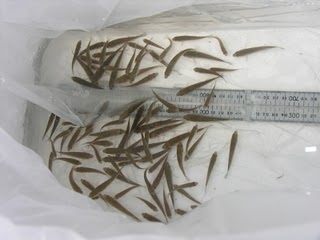 At last I received my new fingerlings yesterday after 7 months of waiting. 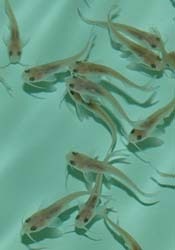 125 Silver Perch and 25 catfish. 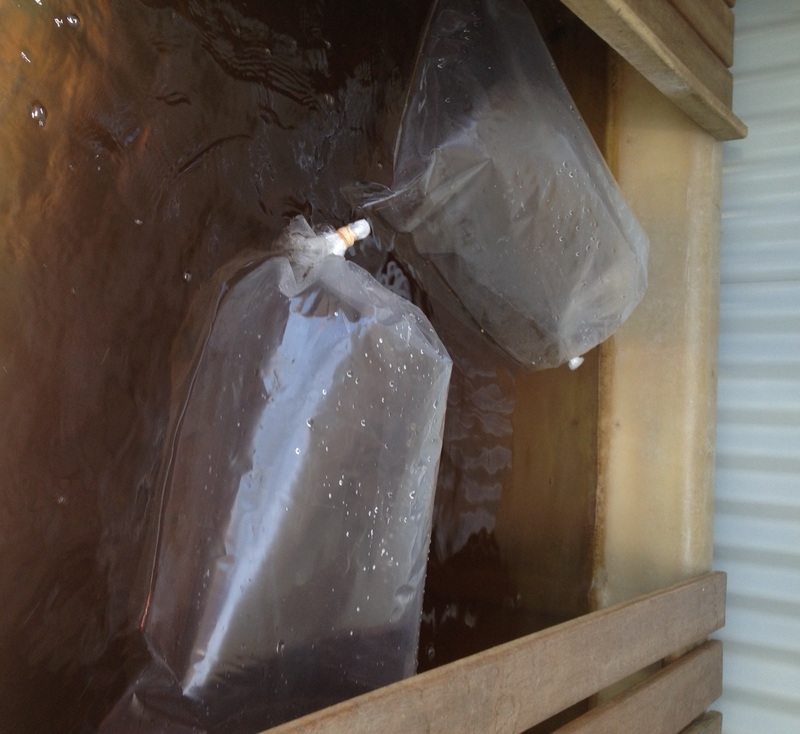 This is them in their oxygen filled plastic bags floating in their new home whilst equalizing water temperature before release. Now watch my veggies take off!